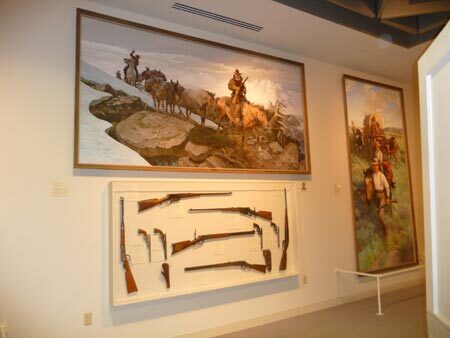 The Cody Firearms Museum contains one of the largest collections of firearms I've seen. 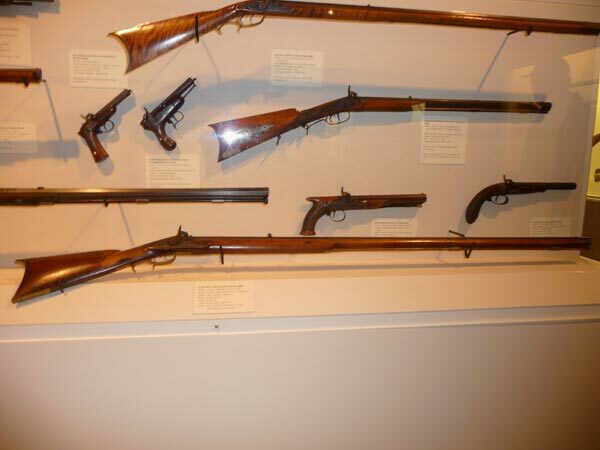 It traces the evolution of the gun from early attempts to modern weapons. 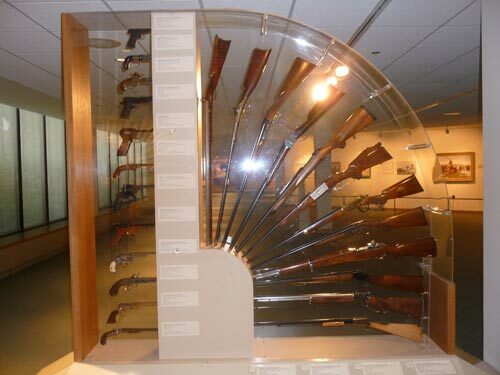 It also shows the history of many gun manufactures by showing examples of the company's early weapons and example of each refinement. Text is also provided to tell the story. 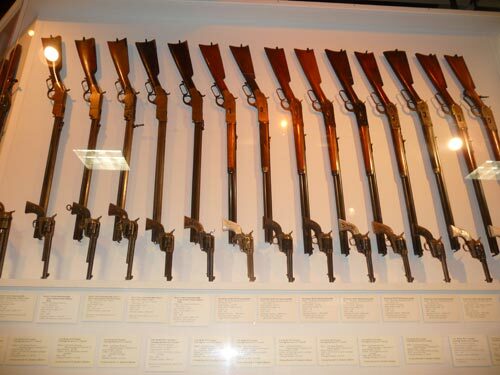 The museum also has a fair number of guns that were used in many western movies and TV shows on display. 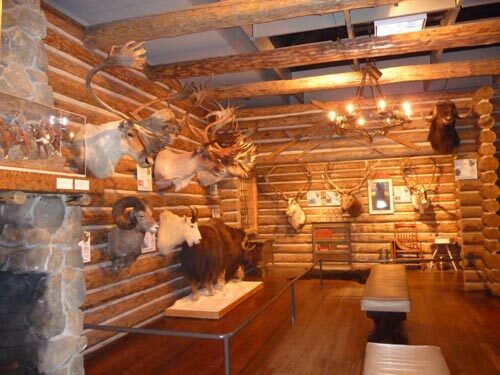 Part of the firearm museum is setup as a room in a hunting lodge. Several trophy animals are displayed. Some of the trophies are world records and others are near world records. 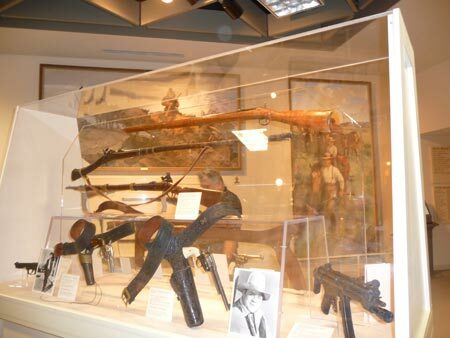 Stuffed animals appear throughout the firearm museum. Travels with Nessie Home :: Site Map:: Contact webmaster@ncsparks.com-email us:: Copyright Leslie Sparks 2006, 2007, 2008, 2009, 2010, 2011, 2012,2013,2019:: Last modified: December 01 2014.